The Twins (and all other organizations) have had more than their fair share of Tommy John surgeries. In recent years, pitchers like Lewis Thorpe, Fernando Romero and Brusdar Graterol have missed two seasons due to the elbow surgery. With less fanfare, Andro Cutura also missed nearly two full years due to the UCL surgery. Today, the former seventh-round draft pick from Southeastern Louisiana University tells us more about the injury, the rehab and the impressive return to the mound in 2018. 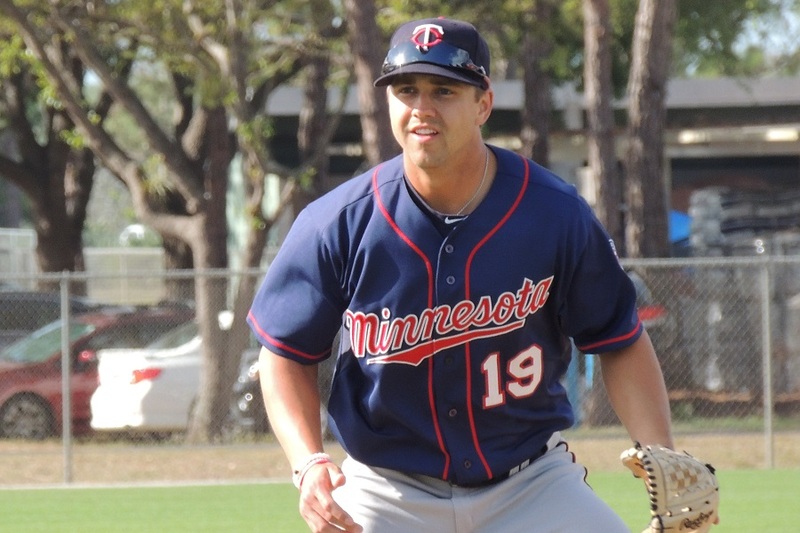 Drafted in 2014, Andro Cutura did a Get To Know ‘Em Q&A for Twins Daily after the 2015 season. He began the 2016 season in Cedar Rapids where he went 3-1 in six starts, but in mid-May, his season came to an end. Rest-and-Rehab was attempted, but it didn’t work, so he had Tommy John surgery. In late April of 2018, Cutura returned to the mound with the Ft. Myers Miracle, and he pitched well, helping the team to the Florida State League championship. Let’s get to the Q&A. After reading it, be sure to ask questions and leave comments and congratulations in the Comments for Andro. Seth Stohs (SS): Let’s go back a couple of years. Early 2016, you’re in Cedar Rapids, pitch in a few games. Can you describe what happened to your elbow? Did you feel something abruptly, or did it just get worse over time? Andro Cutura (AC): I believe I had 5 starts in 2016 and the second to last one was when I started to feel my forearm/elbow bother me. I did not feel a “pop” on a single pitch, it was kind of a build up between two starts. SS: What was the process and who was involved in your eventual decision to have Tommy John surgery? AC: It was a very mentally straining process because it ultimately took me 5 months of rehab before I actually got TJ. First it was a little strain and I stayed in Cedar Rapids and rehabbed for about a month with the team. I then get sent down to Fort Myers and after not having progress I was advised to get PRP injections and take a few months off before even starting a throwing program. That was probably the most frustrating part of the whole thing, waiting all this time and going through a lengthy throwing program just to have my elbow blow up again when I got to 90 feet. At that moment I knew it was time for TJ and it was almost like a relief to be honest. I just wish I hadn’t wasted a season of my career. However, hindsight is always 20/20. SS: What was the worst part about the rehab process? How hard was it to be patient with the entire rehab time frame? AC: I think the worst part about the rehab process was the feeling of “falling behind”. You see all the guys you get drafted with moving up the ladder and you just feel stagnant in the rehab world. The key that I learned was to never get comfortable and even if there wasn’t something you could do physically, you could always learn more about the game by watching from a different point of view. It was hard to be patient because you want to be out there competing with a team. But you have to realize that everyone has a different path and you have to make the most out of it. SS: You were able to rehab with others who were going through the rehab with you. There are also several others in the organization who have been through Tommy John surgery too. Was it helpful to go through it with other teammates, and were there other Twins players who you were able to talk to when you had questions? What was some of the advice you got from them? AC: I was blessed to have such a hardworking group of guys to rehab with. Guys like JT Chargois, Zack Jones, Logan Darnell, Nick Burdi were a few of the guys I was surrounded by and if you know those guys, you know how hard of workers they are. Whether it be conditioning or in the gym, we were always pushing each other to the limit and I am very thankful for that. Every single one of us had a mindset of getting healthy and getting to the big leagues. The goals were so high and I think that showed me what it takes to be the best. Towards the end of my rehab stint, I was fortunate to spend some time with Glen Perkins and Phil Hughes in the training room and was able to pick their brains a little. SS: I think going through something like that, knowing it would take a long time to recover, what was your support system like and how important was that to you? AC: I couldn’t have done any of this if it weren’t for my wife, Nina. She was there for me every step of the way. My frustrating days and my best days, she was there helping me through it no matter what the circumstance. Any time I would lose hope, she would remind me how much I loved this game and how hard I’ve worked to get to this point. My family was also there for me and always believed in me. I couldn’t have gotten through it without all the thoughts and prayers. I would also say my Faith was a big support system for me. I kept faith that God had a plan for me and that this was all just part of a grander plan. SS: April 20th, you get back on the mound for the Miracle, your first game in nearly two years. What do you recall about the emotions going into that game, and then coming to the mound? AC: I was so excited. It was a looooong awaited time and I just wanted to get out there. I came out of the bullpen for my first outing so I had to sit around all game, which I’m not very used to. Haha. I remember stepping on the mound and the view of a backdrop and stadium really threw me off. I had been throwing in the bullpens and back fields in FM with chain linked fences. It was a different view for me, just needed my eyes to adjust a little I guess. My adrenaline was pumping pretty good, so I just remember pumping in fastballs and overthrowing sliders and changeups. Haha. SS: Was there a point in the season where you felt like you were back to 100%, comfortable with the elbow to air it out as needed? AC: Luckily, I never had any setbacks in my throwing program and never had any issues with my elbow as the season went on. I was never scared to let it loose. SS: What pitches do you throw, and how did each respond to the rehab and then throughout the season? AC: I throw a 4-seam Fastball, Sinker, Changeup, and Slider. Currently working on a cutter. They all responded quite well, however, some took a little longer than others. The command took some time with all my pitches but I was working every bullpen with Henry Bonilla to work on mechanical things until I found that groove. It took me a little while to get the feel of my slider back. That was the most challenging pitch for me to get back. As the end of the season rolled around I started to settle in and kinda found a good groove with all my pitches and sequencing. SS: You’ve had a couple of months since the season ended. Have you had the chance (or taken the time) to reflect on your season and really the whole three seasons. AC: Yeah, occasionally I will look back and review my season; the highs and the lows. I learned so much this season about myself and mastering my craft. Sounds crazy but after being out of pitching in games for almost two years, you almost forget what it feels like to give up hits or strike guys out or just having that in game experience. It took some time to adjust just because it had been so long. I look back at the whole three seasons and obviously wish I was on the field more and in the training room less, but I am really thankful for all the lessons I learned in the training room and how to take care of myself and learn about the game from a different point of view and on different levels. SS: How has it been to have a ‘regular’ offseason? When do you start working out and preparing yourself for the 2019 season? AC: It feels great to have a regular offseason! Just got married in September and got to spend time with my wife. We didn’t get to see each other much during the season so it’s nice to be able to make up for lost time with her. I took about a month off after the season to rest my body and then started ramping up workouts in October. I started tossing a little earlier this year, around Thanksgiving time. Right now I am working on finding my release points with my pitches and finding that consistency. SS: What do you enjoy doing to get away from the game of baseball in the offseason? AC: I enjoy golfing, game nights, hunting and fishing when I can, and just spending time with my family. SS: Have you given any thought yet to goals for 2019? Where would you like to start or end the season, and what are the numbers that you tend to look at to measure yourself? AC: I honestly feel so different going into this season than I did going into the 2018 season. Last season I went in not really knowing where I was going and how I would translate to games, just because it had been so long. I knew it was going to be a season of adjustments and figuring out who I am again. I want to start this season in Pensacola. I feel like I’m going into this season with a much bigger goal and a much bigger confidence. I was really happy with the way I ended my 2018 season and I’m itching to continue it into the 2019 season. People may call my crazy, but my goal this year is to contribute at the big league level. I am hungrier than ever, I know what I can do, and I know I can compete at the highest level. I want to stress to myself this season to get ahead of hitters and get into pitchers counts. I want my first pitch strike % up, strikeouts up, and walks down. I also want to be the best pitcher in the league with runners in scoring position. I realized how vital that is in the game of baseball. Bottom line, I want to get outs. A big Thank You to Andro Cutura for taking time to answer these questions so diligently and thoughtfully. We certainly wish him the best of luck in 2019 and beyond. Leave your questions and well wishes below. I really appreciate these articles.Heading to Fort Myers March 9th.I assume he will be on the minor league side. How do you know when he may be scheduled to pitch? Is it posted somewhere. I would like to see him throw. Who is pitching on a given day isn't necessarily posted anywhere. We can try to find out. Very nice article.Sometimes you almost forget the human\emotional side of this game that player go through.All these minor league players are very talented just to get this far but it is so hard to be able to play with the best of the best (i.e MLB Baseball).Out of the thousands of guys drafted so few make it. Loved the honesty in Andro's answers.I think I would feel pretty much the same way if I were in his situation.I also love his attitude about being ready to compete and not give up on the dream. Another very good interview Seth. Very interesting to read his comments about the injury and the long road back. Not a player I was familiar with before, so this helps my overall knowledge. When you think of the pressure on these prospects to perform, I can't even imagine how nearly two years out of my control (largely) would affect my psyche. The 5 months 'wasted' attempting rehab before taking the surgery path must be particularly tough to take. Here's hoping Andro catches the breaks from here on out. I ALWAYS appreciate these minor league reads because it adds some information, a face and usually a stat or two when a player's name suddenly pops up. Anyone that knows Andro will tell you he's a great guy.We were lucky enough to have hosted him when he was in Cedar Rapids, when he was out there throwing pitches in a game while it was snowing.Not kidding there.He was always a gentleman and scholar.Not kidding there either--was hugely motivated to finish his college career even studying after games. and thanks for the excellent write-up! I really enjoy these interviews, Seth. I had to look up Cutura's 2018 and see what he was up to. His final month should've built his confidence. Five appearances - four starts and a four-inning relief stint in a game Pineda started. He's 25 yrs old and not a prime prospect. It's still fun to see the young man overcome his struggles and perform well. I'll be cheering for him in 2019. I wish they all could make the majors. However they won't. They must give it their all, realizing that even if they do, they may not be good enough, they may get injured, they may be unfairly left out....but then don't we non-baseball players have similar goals and dreams, similar frustrations and disappointments?But the key is to live every day with a lofty, noble, purpose...to help others along the way...and to beat the White Sox. And good luck to Andro as he continues the journey. I ALWAYS mean to do more o them, but then get busy. So if people have any requests, let me know.